(2) that worker is your employee. Household work is work that is performed in or around your home by baby-sitters, nannies, health aides, private nurses, maids, caretakers, yard workers, and similar domestic workers.A household worker is your employee if you control not only what work is done, but how it is done. If a worker is your employee, it does not matter whether the work is full-time or part-time, or that you hired the worker through an agency or from a list provided by an agency or association. It also does not matter whether you pay the worker on an hourly, daily, or weekly basis, or by the job. If the worker controls how the work is done, the worker is not your employee, but is self-employed. A self-employed worker usually provides his or her own tools and offers services to the general public in an independent business. Also, if an agency provides the worker and controls what work is done and how it is done, the worker is not your employee. Example: You pay Mary to babysit your child and do light housework four days a week in your home. Mary follows your specific instructions about household and child care duties. You provide the household equipment and supplies that Mary needs to do her work. Mary is your household employee. Example: You pay John to care for your lawn. John also offers lawn care services to other homeowners in your neighborhood. He provides his own tools and supplies, and he hires and pays any helpers he needs. Neither John nor his helpers are your household employees. When you hire a household employee to work for you on a regular basis, he or she must complete USCIS Form I-9 Employment Eligibility Verification. It is your responsibility to verify that the employee is either a U.S. citizen or an alien who can legally work and then complete the employer part of the form. It is unlawful for you to knowingly hire or continue to employ a person who cannot legally work in the United States. Keep the completed form for your records. Do not return the form to the U.S. Citizenship and Immigration Services (USCIS). Tip: Two copies of Form I-9 are contained in the UCIS Employer Handbook. Visit the USCIS website or call 800-767-1833 to order the handbook, additional copies of the form, or to get more information, or give us a call. If you have a household employee, you may need to withhold and pay Social Security and Medicare taxes, or you may need to pay federal unemployment tax, or both. Refer to this table for details: Will pay cash wages of $1,900 or more in 2014 to any one household employee.Do not count wages you pay to: your spouse, your child under age 21, your parent, or any employee under age 18 during 2014. Withhold and pay Social Security and Medicare taxes. The combined taxes are generally 15.3% of cash wages. Your employee’s share is 7.65%. (You can choose to pay the employee’s share yourself and not withhold it.) Your share is 7.65%. Have paid or will pay total cash wages of $1,000 or more in any calendar quarter of 2013 or 2014 to household employees.Do not count wages you pay to: your spouse, your child under age 21, or your parent. Pay federal unemployment tax. The tax is 0.6% of cash wages. Wages over $7,000 a year per employee are not taxed. You also may owe state unemployment tax. If neither of these two contingencies applies, you do not need to pay any federal unemployment taxes. But you may still need to pay state unemployment taxes (see below). You do not need to withhold federal income tax from your household employee’s wages. But if your employee asks you to withhold it, you can choose to do so. Tip: If your household employee cares for your dependent that is under the age of 13 or your spouse or dependent that is not capable of self care, so that you can work, you may be able to take an income tax credit of up to 35 percent (or $1,050) of your expenses for each qualifying dependent. If you can take the credit, then you can include your share of the federal and state employment taxes you pay, as well as the employee’s wages, in your qualifying expenses. Please contact us if you’re not sure whether you need to pay state unemployment tax for your household employee. We’ll also help you figure out whether you need to pay or collect other state employment taxes or carry workers’ compensation insurance. Note: If you do not need to pay Social Security, Medicare, or federal unemployment tax and do not choose to withhold federal income tax, the rest of this article does not apply to you. Social Security taxes pays for old-age, survivor, and disability benefits for workers and their families. The Medicare tax pays for hospital insurance. Both you and your household employee may owe Social Security and Medicare taxes. Your share is 7.65 percent (6.2 percent for Social Security tax and 1.45 percent for Medicare tax) of the employee’s Social Security and Medicare wages. Your employee’s share is 6.2 percent for Social Security tax and 1.45 percent for Medicare tax. You are responsible for payment of your employee’s share of the taxes as well as your own. You can either withhold your employee’s share from the employee’s wages or pay it from your own funds. Note the limits in the table above. Wages Not Counted Do not count wages you pay to any of the following individuals as Social Security and Medicare wages: Your spouse. Your child who is under age 21. Your parent. Note: However, you should count wages to your parent if both of the following apply: (a) your child lives with you and is either under age 18 or has a physical or mental condition that requires the personal care of an adult for at least four continuous weeks in a calendar quarter, and (b) you are divorced and have not remarried, or you are a widow or widower, or you are married to and living with a person whose physical or mental condition prevents him or her from caring for your child for at least four continuous weeks in a calendar quarter. An employee who is under age 18 at any time during the year. Note: However, you should count these wages to an employee under 18 if providing household services is the employee’s principal occupation. If the employee is a student, providing household services is not considered to be his or her principal occupation. Also, if your employee’s Social Security and Medicare wages reach $117,00 in 2014 ($113,700 in 2013), then do not count any wages you pay that employee during the rest of the year as Social Security wages to figure Social Security tax. You should however, continue to count the employee’s cash wages as Medicare wages to figure Medicare tax. You figure federal income tax withholding on both cash and non-cash wages (based on their value), but do not count as wages any of the following items: Meals provided at your home for your convenience. Lodging provided at your home for your convenience and as a condition of employment. Up to $130 a month in 2014 for transit passes that you give your employee or, in some cases, for cash reimbursement you make for the amount your employee pays to commute to your home by public transit. A transit pass includes any pass, token, fare card, voucher, or similar item entitling a person to ride on mass transit, such as a bus or train. Up to $250 a month in 2014 to reimburse your employee for the cost of parking at or near your home or at or near a location from which your employee commutes to your home. As you can see, tax considerations for household employees are complex. Therefore, we highly recommend professional tax guidance in these complicated matters. This is definitely an area where it’s better to be safe than sorry, so if you have any questions at all, please contact us. We’re happy to assist you. Filing a past due return may not be as difficult as you think. Taxpayers should file all tax returns that are due, regardless of whether full payment can be made with the return. Depending on an individual’s circumstances, a taxpayer filing late may qualify for a payment plan. It is important, however, to know that full payment of taxes upfront saves you money. Gather return information and come see us. You should bring any and all information related to income and deductions for the tax years for which a return is required to be filed. There are several different ways to make a payment on your taxes. Payments can be made by credit card, electronic funds transfer, check, money order, cashier’s check, or cash. Payment Options – For Those Who Can’t Pay in Full Taxpayers unable to pay all taxes due on the bill are encouraged to pay as much as possible. By paying as much as possible now, the amount of interest and penalties owed will be lessened. Based on the circumstances, a taxpayer could qualify for an extension of time to pay, an installment agreement, a temporary delay, or an offer in compromise. A short-term extension gives a taxpayer an additional 60 to 120 days to pay. No fee is charged, but the late-payment penalty plus interest will apply. Generally taxpayers will pay less in penalties and interest than if the debt were repaid through an installment agreement over a greater period of time. Taxpayers who owe $25,000 or less in combined tax, penalties and interest can apply for, and receive immediate notification of approval through an IRS web-based application. Balances over $25,000 require taxpayers to complete a financial statement to determine the monthly payment amount for an installment plan.When it comes to paying your tax bill, it is important to review all your options; the interest rate on a loan or credit card may be lower than the combination of penalties and interest imposed by the Internal Revenue Code. You should pay as much as possible before entering into an installment agreement. You can also pay your Federal taxes using a major credit card or debit card. There is no IRS fee for credit or debit card payments, but the processing companies charge a convenience fee or flat fee. A user fee will also be charged if the installment agreement is approved. The fee, normally $120, is reduced to $52 if taxpayers agree to make their monthly payments electronically through electronic funds withdrawal. The fee is $43 for eligible low-and-moderate-income taxpayers. It’s important to understand the ramifications of not filing a past due return and the steps that the IRS will take. Taxpayers who continue to not file a required return and fail to respond to IRS requests for a return may be considered for a variety of enforcement actions. If you haven’t filed a tax return yet, please contact us. We’re here to help! 1. Make all your business appointments before you leave for your trip. Most people believe that they can go on vacation and simply hand out their business cards in order to make the trip deductible. Wrong. You must have at least one business appointment before you leave in order to establish the “prior set business purpose” required by the IRS. Keeping this in mind, before he left for his trip, Tom set up appointments with business colleagues in the various cities that he planned to visit. Let’s say Tom is a manufacturer of eco office products and is looking to expand his business and distribute more of his products. One possible way to establish business contacts–if he doesn’t already have them–is to place advertisements looking for distributors in newspapers in each location he plans to visit. He could then interview those who respond when he gets to the business destination. Example: Tom wants to vacation in Hawaii. If he places several advertisements for distributors, or contacts some of his downline distributors to perform a presentation, then the IRS would accept his trip for business. Tip: It would be vital for Tom to document this business purpose by keeping a copy of the advertisement and all correspondence along with noting what appointments he will have in his diary. 2. Make Sure your Trip is All “Business Travel.” In order to deduct all of your on-the-road business expenses, you must be traveling on business. The IRS states that travel expenses are 100 percent deductible as long as your trip is business related and you are traveling away from your regular place of business longer than an ordinary day’s work and you need to sleep or rest to meet the demands of your work while away from home. Example: Tom wanted to go to a regional meeting in Boston, which is only a one-hour drive from his home. If he were to sleep in the hotel where the meeting will be held (in order to avoid possible automobile and traffic problems), his overnight stay qualifies as business travel in the eyes of the IRS. Tip: Remember: You don’t need to live far away to be on business travel. If you have a good reason for sleeping at your destination, you could live a couple of miles away and still be on travel status. 3. Be sure to deduct all of your on-the-road-expenses for each day you’re away. For every day you are on business travel, you can deduct 100 percent of lodging, tips, car rentals, and 50 percent of your food. Tom spends three days meeting with potential distributors. If he spends $50 a day for food, he can deduct 50 percent of this amount, or $25. Tip: The IRS doesn’t require receipts for travel expense under $75 per expense–except for lodging. Example: If Tom pays $6 for drinks on the plane, $6.95 for breakfast, $12 for lunch, $50 for dinner, he does not need receipts for anything since each item was under $75. Tip: He would, however, need to document these items in your diary. A good tax diary is essential in order to audit-proof your records. Adequate documentation includes amount, date, place of meeting, and business reason for the expense. Example: If, however, Tom stays in the Bates Motel and spends $22 on lodging, will he need a receipt? The answer is yes. You need receipts for all paid lodging. Tip: Not only are your on-the-road expenses deductible from your trip, but also all laundry, shoe shines, manicures, and dry-cleaning costs for clothes worn on the trip. Thus, your first dry cleaning bill that you incur when you get home will be fully deductible. Make sure that you keep the dry cleaning receipt and have your clothing dry cleaned within a day or two of getting home. 4. Sandwich weekends between business days. If you have a business day on Friday and another one on Monday, you can deduct all on-the-road expenses during the weekend. Example: Tom makes business appointments in Florida on Friday and one on the following Monday. Even though he has no business on Saturday and Sunday, he may deduct on-the-road business expenses incurred during the weekend. 5. Make the majority of your trip days count as business days. The IRS says that you can deduct transportation expenses if business is the primary purpose of the trip. A majority of days in the trip must be for business activities; otherwise, you cannot make any transportation deductions. Example: Tom spends six days in San Diego. He leaves early on Thursday morning. He had a seminar on Friday and meets with distributors on Monday and flies home on Tuesday, taking the last flight of the day home after playing a complete round of golf. How many days are considered business days? All of them. Thursday is a business day, since it includes traveling – even if the rest of the day is spent at the beach. Friday is a business day because he had a seminar. Monday is a business day because he met with prospects and distributors in pre-arranged appointments. Saturday and Sunday are sandwiched between business days, so they count, and Tuesday is a travel day. Since Tom accrued six business days, he could spend another five days having fun and still deduct all his transportation to San Diego. The reason is that the majority of the days were business days (six out of eleven). However, he can only deduct six days’ worth of lodging, dry cleaning, shoe shines, and tips. The important point is that Tom would be spending money on lodging, airfare, and food, but now most of his expenses will become deductible. Consult us before you plan your next trip. We’ll show you the right way to legally deduct your vacation when you combine it with business. Bon Voyage! With health care, housing, food, and transportation costs increasing every year, many retirees on fixed incomes wonder how they can stretch their dollars even further. One solution is to move to another state where income taxes are lower than the one they currently reside in. But some retirees may be in for a surprise. While federal tax rates are the same in every state, retirees may find that even if they move to a state with no income tax, there may be additional taxes they’re liable for including sales taxes, excise taxes, inheritance and estate taxes, income taxes, intangible taxes, and property taxes. In addition, states tax different retirement benefits differently. Retirees may have several types of retirements benefits such as pensions, social security, retirement plan distributions (which may or not be taxed by a particular state), and additional income from a job if they continue to work in order to supplement their retirement income. If you’re thinking about moving to a different state when you retire, here are five things to consider before you make that move. 1. Income Tax Rates Retirees planning to work part-time in addition to receiving retirement benefits should keep in mind that those earnings may be subject to state tax in certain states, as well as federal income tax if your combined income (individual) is more than $25,000. Combined income is defined as your adjusted gross income + Nontaxable interest plus 1/2 of your Social Security benefits. If you file a joint return, you may have to pay taxes if you and your spouse have a combined income that is more than $32,000. If you see this scenario in your future, it may be in your best interest to consider a state with low income tax rates (Pennsylvania, Arizona, or New Mexico for instance) or no income tax such as Florida, Nevada, Alaska, or Washington state. 2. Income Tax on Retirement Income Income tax on pension income varies for each state. In 2014, three states, including Pennsylvania, Illinois, and Mississippi do not tax it at all. In twenty-one other states a portion of pension income is exempt, and fifteen states tax pension income in its entirety. Remember however, that state tax laws, like federal tax laws are always changing. Call us if you have any questions about tax law changes in your state. 3. Tax on Social Security In 2014, fourteen states tax social security income in addition to taxing social security income at the federal level. Among them are Colorado, Connecticut, Montana, New Mexico, Vermont, and West Virginia. 4. State and Local Property Taxes Despite a decline in property values, property taxes have not decreased for most homeowners. Some states however, offer property tax exemptions to retirees who are homeowners and renters. Again, this varies by individual state. Please consult us if you have any questions about your state or the state you are planning to move to. 5. State and Local Sales Taxes State and local sales taxes may or may not be a factor in the overall decision about where you decide to retire, but keep in mind that only five states, Alaska, Delaware, Montana, New Hampshire, and Oregon do not impose any sales or use tax. 6. Estate Taxes Estate tax may or may not matter, depending on your estate and whether you care about what happens to your estate after you die. Like other state taxes, estate tax varies depending on which state you reside in. In eighteen states, there is a tax on estates below the federal threshold amount ($5.34 million in 2014). Three states, Delaware, Hawaii and North Carolina, use the same threshold amount as the IRS when figuring federal estate tax, and three states have no estate tax whatsoever–Kansas, Oklahoma, and Arizona. So what’s the bottom line? When it comes to retirees, relocating, and taxes there are a number of factors to consider–including the overall tax burden. And, as you’ve read here, not all states are created equal. If you’re thinking about retiring to another state, please consult us first. We’ll help you figure out which state is best for your particular circumstances. 2. File an amended tax return if there is a change in, or you made an error regarding your filing status, income, deductions or credits on your original return. 4. Generally, you must file Form 1040X within three years from the date you filed your original tax return or within two years of the date you paid the tax, whichever is later. For example, the last day for most people to file a 2010 claim for a refund is April 15, 2014. Special rules may apply to certain claims. For more information see the instructions for Form 1040X or call us. 5. If you are amending more than one tax return, prepare a 1040X for each return and mail them to the IRS in separate envelopes. Note the tax year of the return you are amending at the top of Form 1040X. You will find the appropriate IRS address to mail your return to in the Form 1040X instructions. 10. To use the “Where’s My Amended Return” tool on the IRS website, just enter your taxpayer identification number (usually your Social Security number), date of birth and zip code. If you have filed amended returns for more than one year, you can select each year individually to check the status of each. Questions about amended returns? Give us a call today. We’ll take care of it–so you don’t have to. 8. You will not have to pay a late-filing or late-payment penalty if you can show reasonable cause for not filing or paying on time. Give us a call if you have any questions about what constitutes reasonable cause. Special penalty relief may apply to taxpayers under certain conditions such as taxpayers affected by natural disasters. If you think this applies to you, don’t hesitate to contact us for additional information. 1. Certain organizations must file Form 990, Return of Organization Exempt From Income Tax. The annual form reports information about the mission, programs and finances of the filer. The due date for many groups to file their form is May 15. 2. Most groups must file a Form 990-series return or notice with the IRS. If they fail to file their annual report for three consecutive years, the law automatically revokes their federal tax exemption. 3. The law also requires that the IRS and most organizations make most parts of their filed forms available to the public. This includes schedules and attachments filed with the form. 4. Forms made available to the public include Forms 990, 990-EZ and 990-PF. All are marked “Open to Public Inspection” in the top right hand corner of the first page. 5. Generally, the IRS does not ask for SSNs on these forms. The forms’ instructions have a caution to filers not to include them on the form. 6. Don’t include personal information that’s not needed on Form 990. For example, including a person’s mailing address may put them at risk. 7. Organizations should e-file their tax forms. E-file lowers the risk of including SSNs or other unneeded personal information. For more information on filing Form 990-series information returns and notices, please give us a call. We’re happy to answer any questions you have regarding charities and non-profit organizations. Are you in the farming business or thinking about it? If so, you should be aware that there may be tax benefits available for you come tax time. Farms include plantations, ranches, ranges and orchards. Farmers may raise livestock, poultry or fish, or grow fruits or vegetables. Here are 10 things about farm income and expenses you should keep in mind this year. 10. Farmers Tax Guide. Publication 225, Farmer’s Tax Guide, is a useful resource that you can obtain from the IRS. However, if you have specific questions, don’t hesitate to call us. We are here to help you get the tax benefits you deserve. Come spring time, most people are eager to throw open the doors and windows, and do some spring cleaning. It’s a good time to “spring clean” QuickBooks as well. Occasional program crashes Missing data (accounts, names, etc.) Refusal to complete transactions, and Mistakes in reports. If some transactions won’t go through when you click one of the Save buttons–or worse, QuickBooks shuts down–you may have a corrupted company file. Call for Help The best thing you can do if you notice problems like this cropping up in QuickBooks–especially if you’re experiencing multiple ones–is to contact us. We understand the file structure of QuickBooks company data, and we have access to tools that you don’t. We can analyze your file and take steps to correct the problem(s). One of the reasons QuickBooks files get corrupt is simply because they grow too big. That’ either a sign of your company’s success or of a lack of periodic maintenance that you can do yourself. QuickBooks contains some built-in tools that you can run occasionally to minimize your file size. One thing you can do on your own is to rid QuickBooks of old, unneeded data. The software contains a Condense Data utility that can do this automatically. But just because QuickBooks offers a tool doesn’t mean that you should use it on your own. Yes, QuickBooks allows you to use this tool on your own. But if you really want to preserve the integrity of your data, let us help. A Risky Utility The program’s documentation for this utility contains a list of warnings and preparation steps a mile long. Be Proactive Instead, start practicing good preventive medicine to keep your QuickBooks company file healthy. Once a month or so, perhaps at the same time you reconcile your bank accounts, do a manual check of your major Lists. Run the Account Listing report (Lists Chart of Accounts Reports Account Listing). Are all of your bank accounts still active? Do you see accounts that you no longer used or which duplicate each other? Don’t try to “fix” the Chart of Accounts on your own. Let us help. You might run this report periodically to see if it can be abbreviated. Be very careful here, but if there are Customers and Vendors that have been off your radar for a long time, consider removing them, but only once you’re sure that your interaction with them is history. Same goes for Items and Jobs. Go through the other lists in this menu with a critical but conservative eye. If there’s any doubt, leave them there. A Few Alternatives There are other options. Your copy of QuickBooks may be misbehaving because it’s unable to handle the depth and complexity of your company. It may be time to upgrade. If you’re using QuickBooks Pro, move up to Premier. And if Premier isn’t cutting it anymore, consider QuickBooks Enterprise Solutions. There’s cost involved, of course, but you may already be losing money by losing time because of your version’s limitations. All editions of QuickBooks look and work similarly, so that your learning curve will be minimal. Also, try to minimize the number of open windows that are active in QuickBooks. That will improve your performance. And what about your hardware? Is it getting a little long in the tooth? At least consider adding memory, but PCs are cheap these days. If you’re having problems with many of your applications, it may be time for an upgrade. A Stitch in Time… We’ve suggested many times here that you contact us for help with your spring cleanup. While that may seem self-serving, remember that it takes us a lot less time and money to take preventive steps with your QuickBooks company file than to troubleshoot a broken one. Employees who work for tips – If you received $20 or more in tips during February, report them to your employer. You can use Form 4070. Employers – Social Security, Medicare, and withheld income tax. File Form 941 for the first quarter of 2014. This due date applies only if you deposited the tax for the quarter in full and on time. 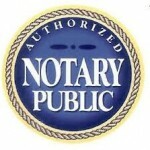 May 15 Employers – Nonpayroll withholding. If the monthly deposit rule applies, deposit the tax for payments in April. Employers – Social Security, Medicare, and withheld income tax.